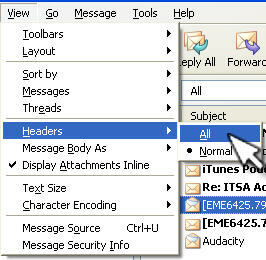 To view all the headers in Outlook 2003, open a message and then select View, Options. 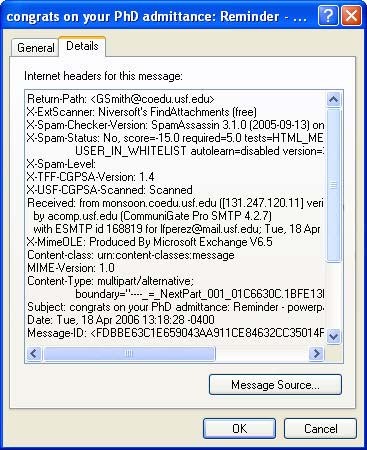 The Message Options dialog box will have an Internet Headers field at the bottom where you can see the headers. 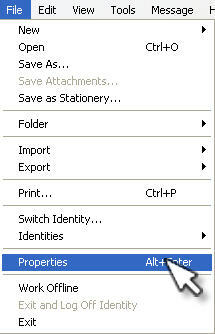 To view email headers in Outlook Express, select the message and then choose File, Properties. Next, select the Details tab and you will see the headers displayed. In Thunderbird, select the message and then choose View, Headers, All.